The Firefighter | Old Morris Tobacconist Victoria BC, Fine Cigars, Humidores and Tobacco Merchantile. 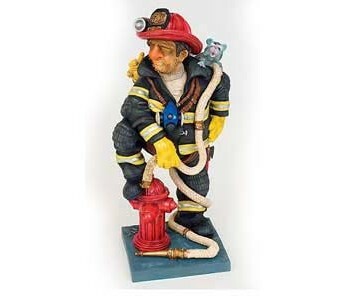 Forchino's fireman is depicted striking an epic hero pose. The cat he just saved from a burning tree sits purring on his shoulder. 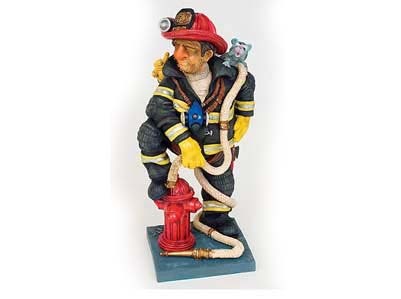 This guy is prepped to battle any fire, wherever it is––but he could definitely use a shave beforehand.